With a contagious, charismatic spirit and a bright smile, it’s easy to spot Alfred Fraijo in a packed room of people. It’s no wonder why he advises people to “make sure you treat everybody with kindness, take advantage of every interpersonal relationship you have, and find ways to be of service.” To Alfred, service has always been at his core, dating back to his days growing up in the diverse, low-income community of Boyle Heights in Los Angeles, California. Growing up in a disadvantaged community, Alfred recalls, “My experience was that elected officials always had a lot of power. I was always attracted to these influential leaders in my community, and that’s what initially gravitated me towards government work. To me, government was about service.” It was this yearning to gain knowledge about the government system that laid the groundwork for Alfred’s educational journey. Alfred pursued that yearning at Harvard University, graduating with a bachelor’s degree in Government with a focus on nation-building in 1999. Right after Harvard, he began studying law at Loyola Law School in Los Angeles. Before starting law school, Alfred recalls, “I imagined myself working in the civil rights arena and imagined myself as a civil rights lawyer working for a place like MALDEF.” Alfred didn’t expect that would change when he accepted an offer to be a Greenlining Institute Summer Associate in the summer of 1999. At Greenlining, Alfred worked under the guidance of Greenlining’s co-founder and then-executive director, John Gamboa, on a project called “The Color of Power,” a study of the ethnic makeup of senior legislative staff in Sacramento that looked at how many chiefs of staff and legislative analysts were people of color. With the summer ending and law school starting, Alfred left Greenlining with a new vision of how he would position himself as a future lawyer. During his first year of law school, opportunity came knocking when Alfred received a call from John Gamboa with an offer to work on a summer project on brownfields—underutilized parcels of land perceived to be contaminated by hazardous chemicals or pollution—through a partnership with the law firm Beveridge & Diamond. “You’ve got to take risks,” Alfred says in his advice to young people, and that’s what he did when he accepted the offer from John. Though not completely knowledgeable about the issue, Alfred took advantage of the opportunity to be Greenlining’s first-ever Legal Associate and dove into issues of environmental justice. “It opened up a whole new world of advocacy that I didn’t have any experience in,” says Alfred. It was this opportunity that steered Alfred’s initial interest in civil rights to the issue of environmental justice. Today, Alfred is a partner with the law firm Sheppard Mullin, where he exercises his expertise in real estate, land-use, and natural resources. He approaches his work with the belief that the built environment can be a tool for community justice. “While I work at a corporate law firm, I’m able to fuse my moral compass developed from Greenlining in the work that I do, and I’m proud of that. I’m incredibly indebted for the perspectives and tools offered by the Academy,” he says. While he may have been a novice in the issue of brownfields in the summer of 2000, he’s now a leader in the environmental justice movement, spearheading efforts in urban redevelopment within underserved communities. And he’s not stopping there. Alfred is also a Greenlining board member and a founding member of Honor PAC, a political action group promoting Latino LGBT issues. In 2008, he founded a nonprofit called Leadership for Urban Renewal Network (LURN, Inc.) that works on informal economies and finds ways to tap into the entrepreneurial spirit of working-class communities. Charming, intelligent, and quite possibly the tallest alumnus to graduate from the Greenlining Academy, Yusef Freeman brings his passion and talents to community development as a Vice President for McCormack Baron Salazar (MBS), a company that focuses on urban neighborhood revitalization through the development of mixed-income housing. Outside of work hours, Yusef still finds the time to share his expertise as a board member for the Greenlining Institute. Only in his mid-30’s, Yusef manages to balance being the vice president of a renowned national company and serve as one of the youngest board members of an organization. 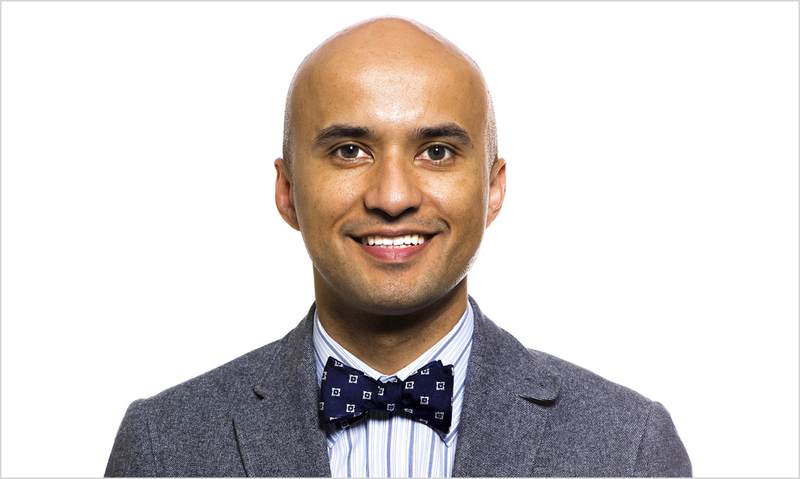 Yusef acknowledges that the path toward finding his passion and career wasn’t always clear. In fact, it was a culmination of life experiences and a number of “Ah-ha!” moments that brought him to where he is today. A graduate of UC Berkeley and the Public Policy and International Affairs Fellowship, Yusef went on to pursue his Masters in Public Administration at New York University. It was at this time that Yusef first heard about The Greenlining Institute and its leadership programs. He applied and was accepted into the Summer Associate program in 2002. On a visit to TELACU, a Greenlining coalition member and community development corporation in Los Angeles, he was given a presentation on urban development. Yusef recalls, “from that experience I knew that working in neighborhood revitalization and working on neighborhoods that suffered from disinvestment was what I wanted to do.” He became invested in comprehensive neighborhood revitalization and its ability to empower communities. After the summer, Yusef returned to NYU, changed his degree focus to community finance, and took additional courses in urban economics to learn more about cities and neighborhoods. Looking up to role models such as Frederick Douglass and his own father, who both share a common thirst for knowledge, it is easy to see why Yusef’s advice to future advocates is this: “Learn as much as you can, and use the resources that are available to you. As you build, you will only have more tools in the toolbox.” For Yusef, learning about community development that summer in 2002 changed his life. All it really takes is an idea or a single experience to change your life, and it often happens when you least expect it.